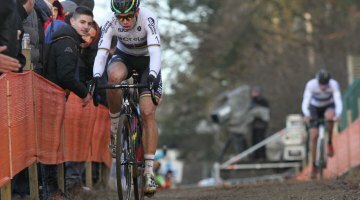 The 2016 World Championships concluded with the Elite Men’s race, and it over-delivered on drama, with tangles, crashes and last-lap suspense. 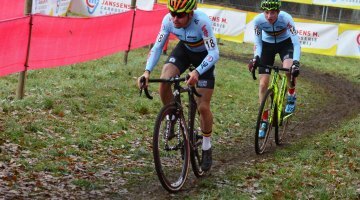 In the end, the top three from last year entered the last lap as the top three again, but by the end, the defending World Champ Mathieu van der Poel faded and Wout van Aert claimed the jersey over Lars van der Haar. Earlier in the race a collision between the two pre-race favorites impacted the front of the race. See how the race played out here in our full report and watch the video highlights of the race here. 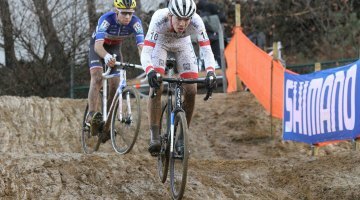 See all our 2016 Cyclocross World Championships coverage here.